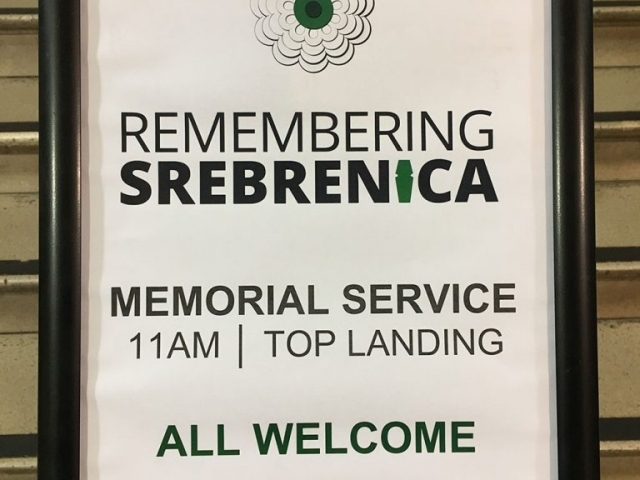 July 11th is Srebrenica Memorial Day, the anniversary of the fall of Srebrenica and this year on the 23rd anniversary I was invited to attend two memorial events. 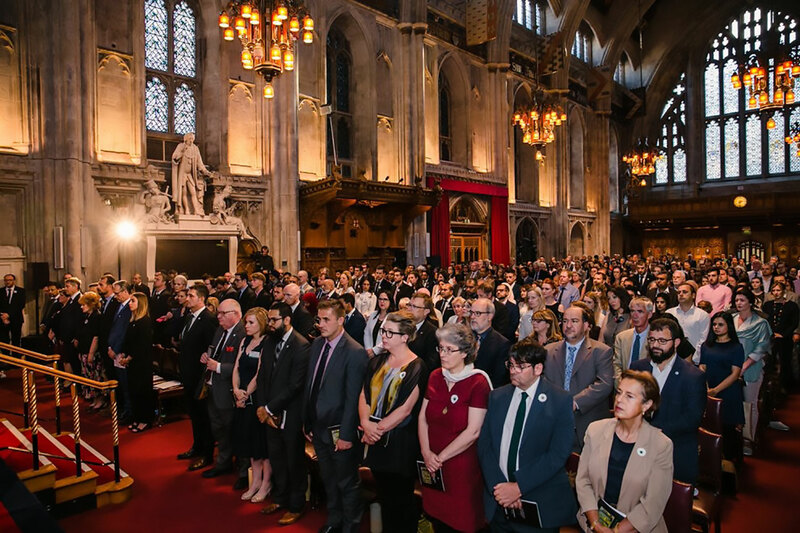 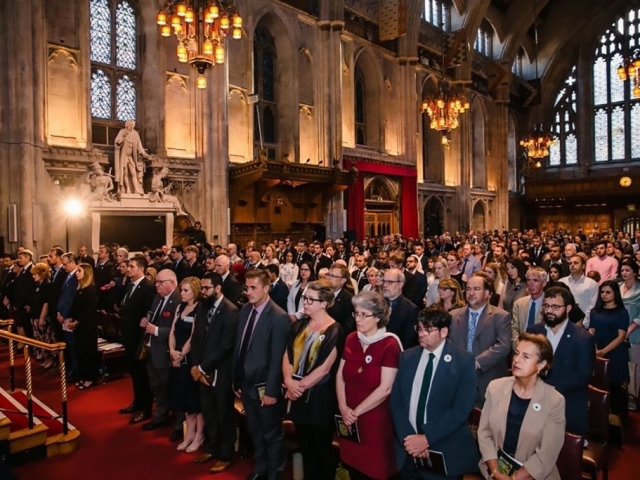 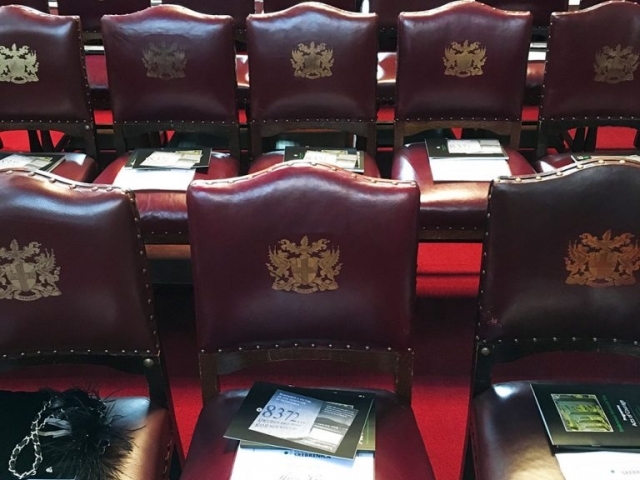 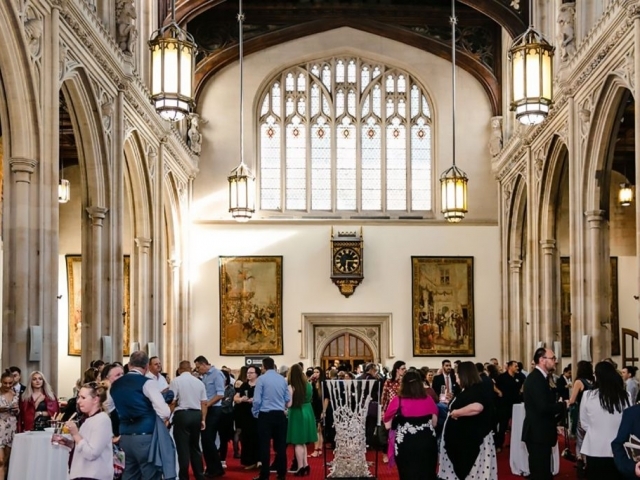 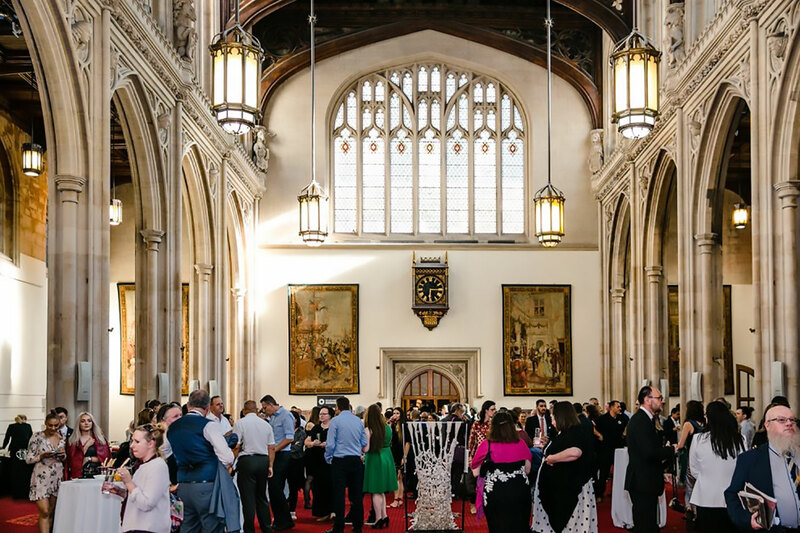 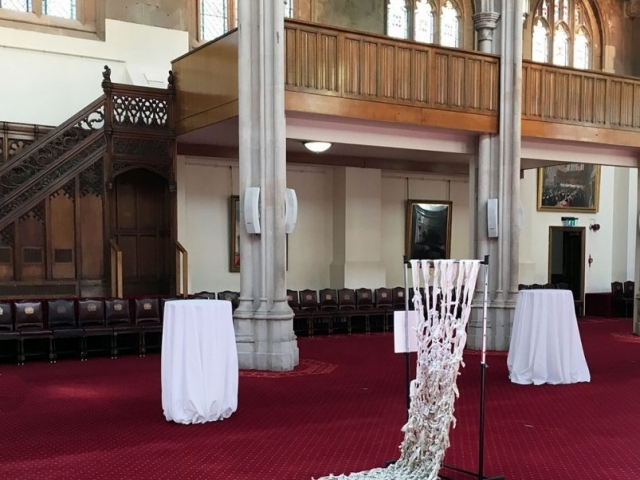 One at Oxford Town Hall with Oxford’s Lord Mayor and I was also invited by Remembering Srebrenica to attend the London Memorial service at The Guildhall as a community champion. 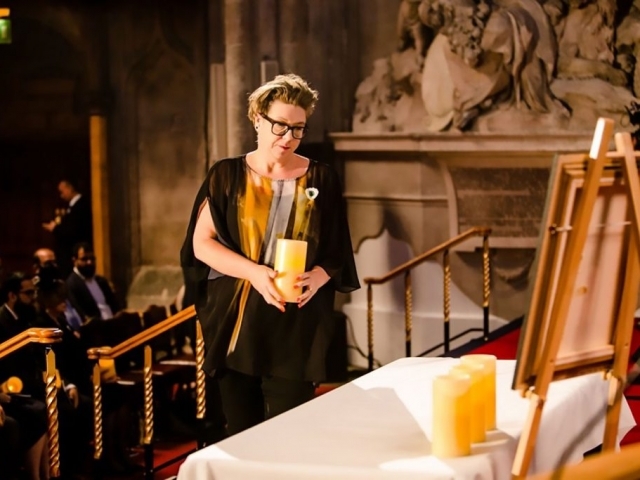 During the Oxford service I was asked to light a candle to remember those killed in the genocide and I was also invited to speak about my 8372 cards project. 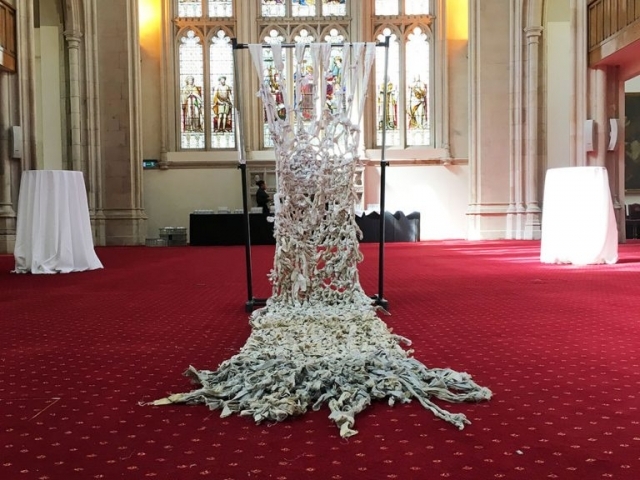 I currently have a piece of work installed downstairs in the entrance of The Town Hall. 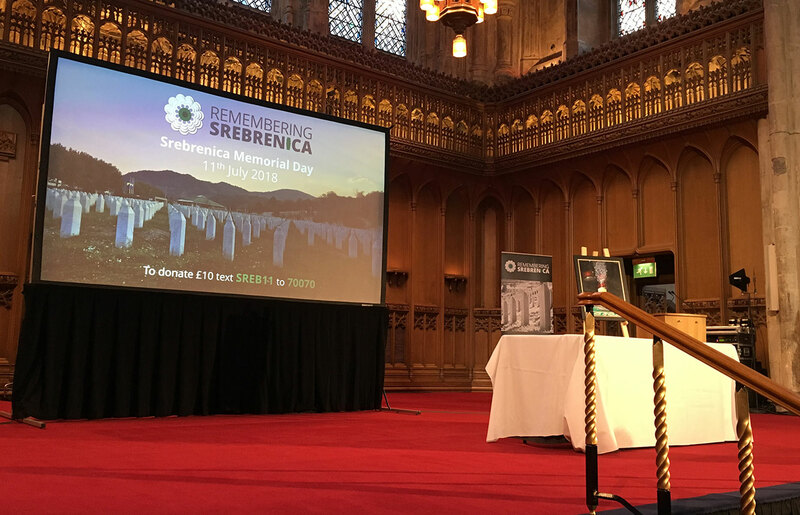 It is a direct response to the genocide at Srebrenica and is titled ‘8372 cards’. 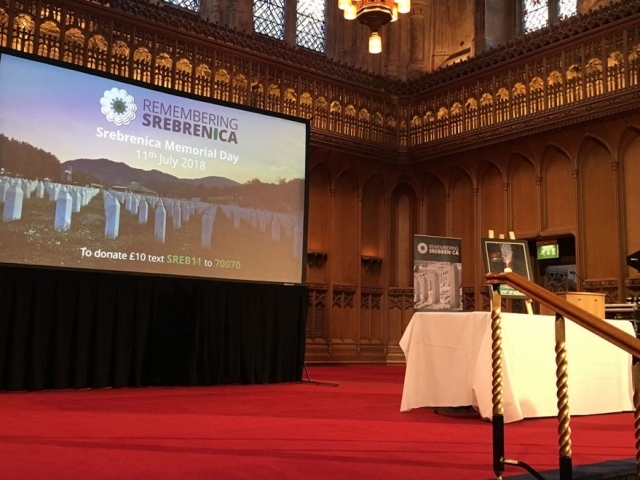 I wanted to visualize the enormity of what happened at Srebrenica in 1995 and to try to consider the identity and individuality of each of those killed. 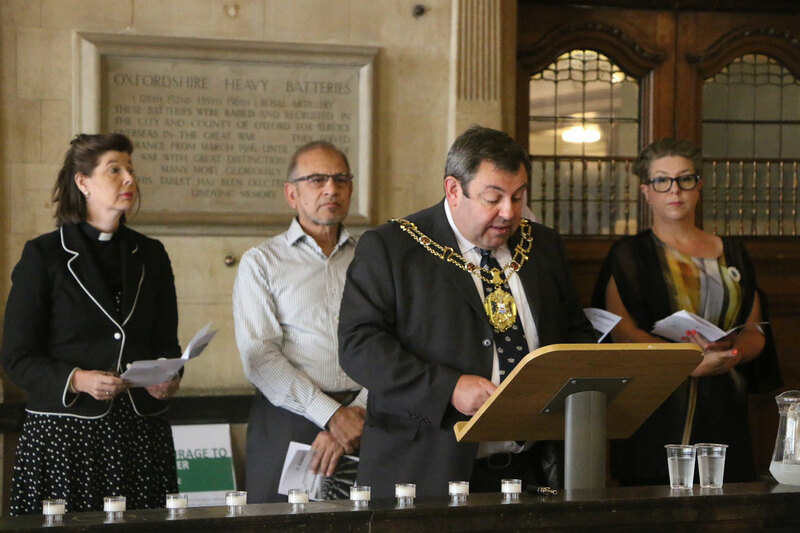 Over the last couple of weeks I have invited volunteers to events across Oxford. 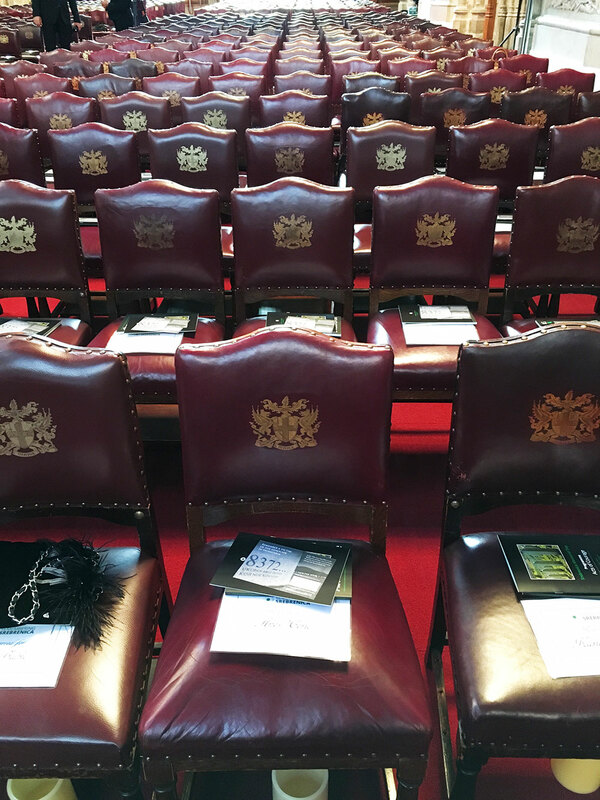 These volunteers have individually hand number all 8372 business cards with an automatic number stamp. 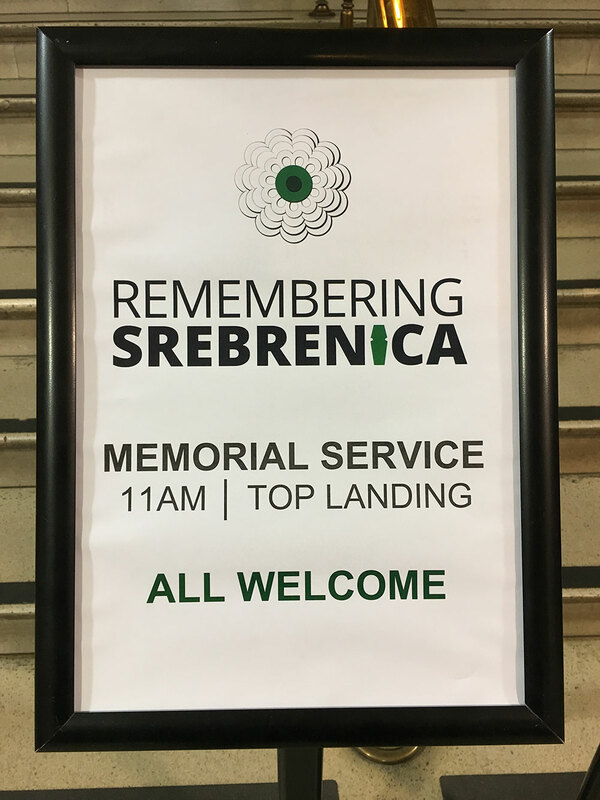 For me business cards represent identity, status and the ability to make contact with someone, however many individuals have yet to be found at Srebrenica and their families remain desperate to know where they lie. 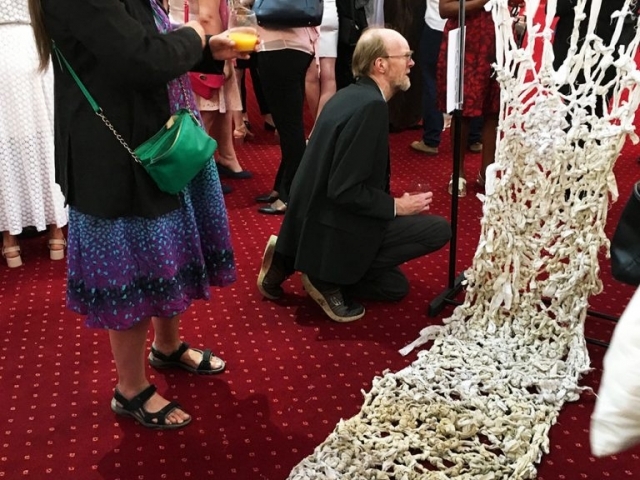 The act of numbering was a powerful experience for everyone who took part and each felt deeply moved by it. 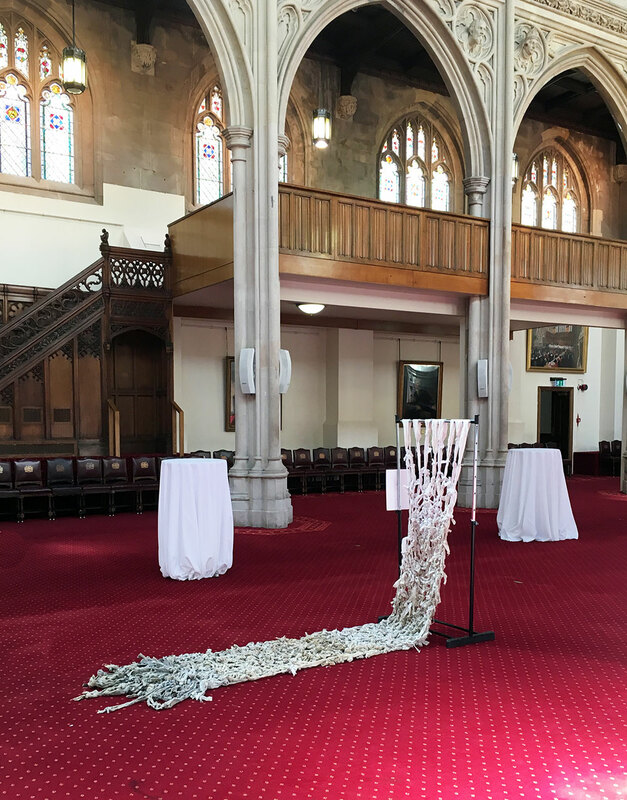 All 8372 cards have been displayed here at the town hall in their entirety but today I ask you to take a card to remember each of those individuals who died, and to remind ourselves of the consequences of hate. 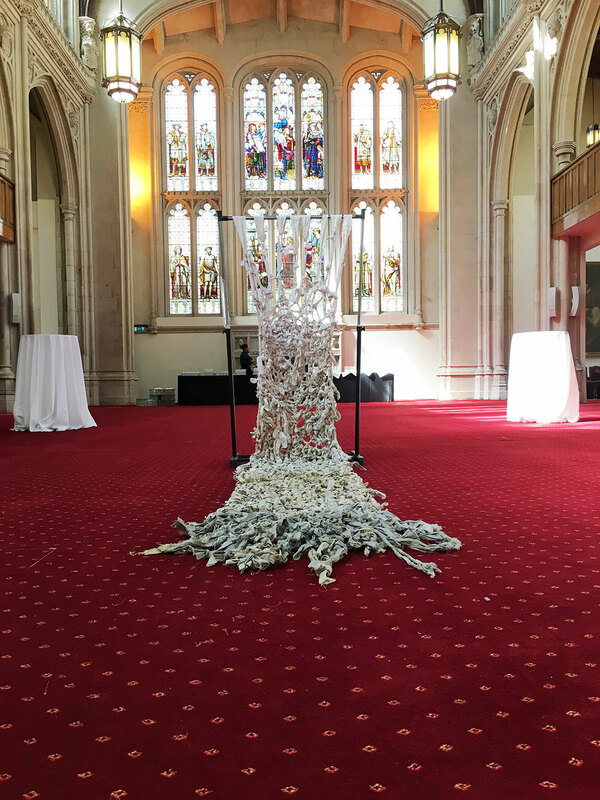 In London at The Guildhall I installed my piece ‘Lie Down‘ within the reception area. 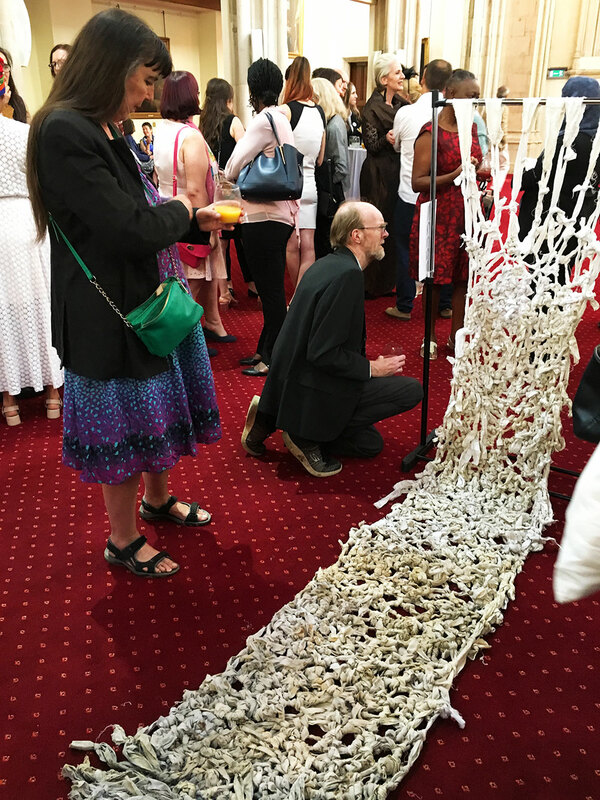 I met and spoke to many fascinating people and had the opportunity to explain my work. 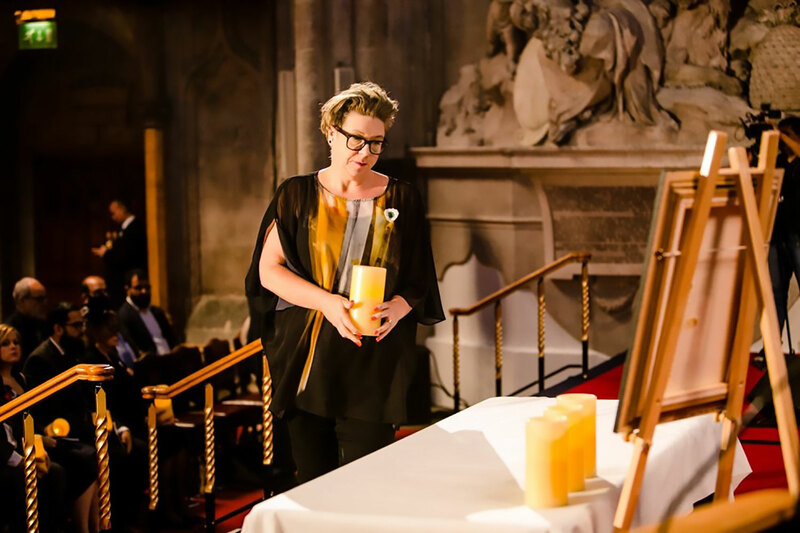 During the service I was one of the candle bearers.